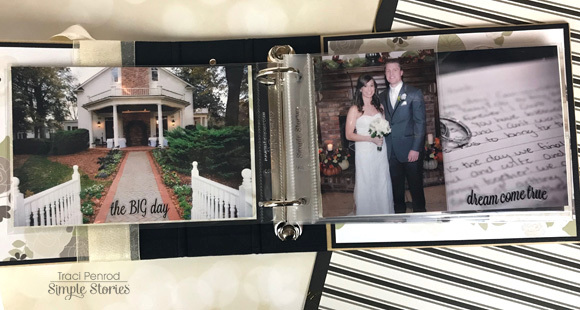 It's been a few years since my son and daughter-in-law got married, but a small gift album had been on my to do list for a while. 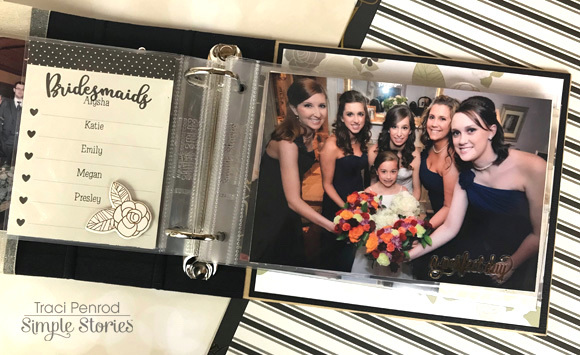 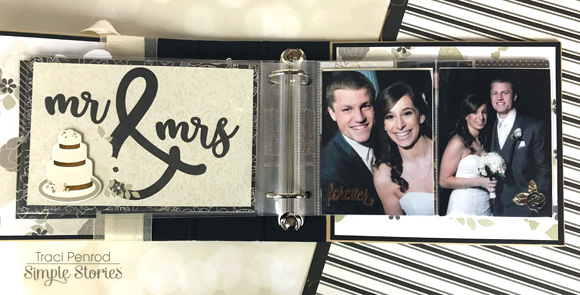 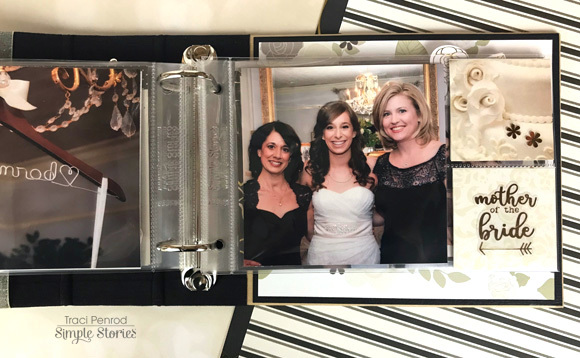 I wanted a 4x6 album with some of our favorite photos from the big day, and I knew the Always and Forever collection would be perfect for this project. 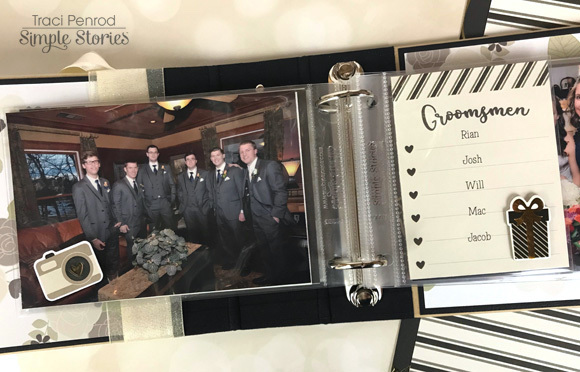 I kept the album simple and used clear stickers on photos and pocket cards. 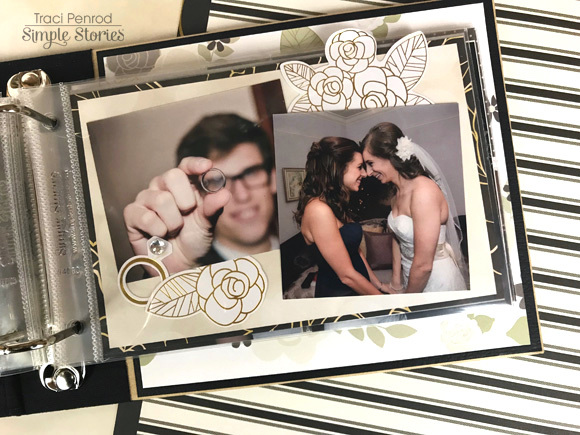 The die cuts, chipboard stickers, and element cards helped make the album fun, and added space for journaling that I wanted to record. 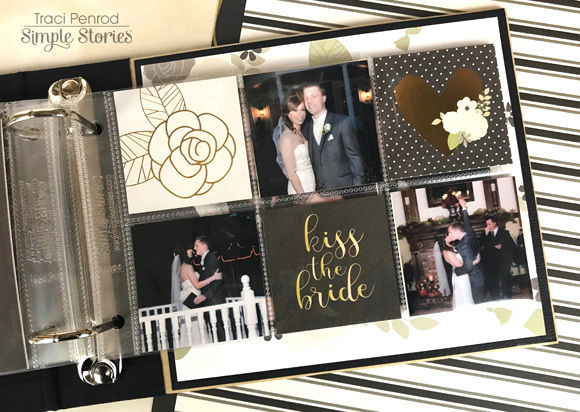 I especially love the page above. 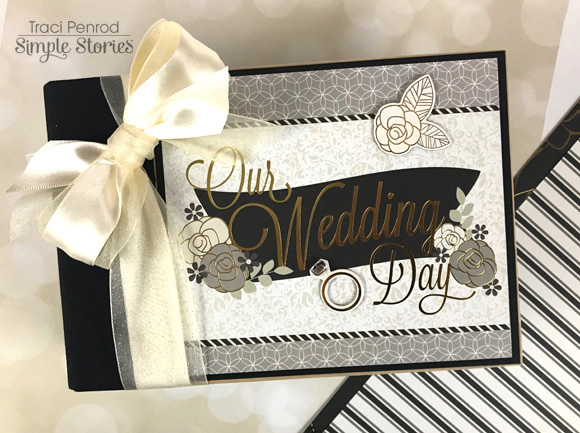 Although you can't tell in the photo, I wish you could see the pretty gold foil on the die cuts!